Two weeks ago, NERW broke the news that Clear Channel’s WPGB (104.7 Pittsburgh) was getting ready to drop its failing talk format and go country. At the time, it appeared the move might not happen until Labor Day or later – but now Clear Channel is moving quickly, with the help of an AM partner that’s poised to take on WPGB’s current program lineup. Frank Iorio, Jr. took control of WJAS (1320 Pittsburgh) from Renda earlier this week, and after abruptly dismissing familiar WJAS personalities including Jack Bogut and Billy Cardille (more on that in Monday’s full NERW column), WJAS began simulcasting the Rush Limbaugh show with WPGB at noon Thursday. At 3 PM, the WPGB lineup – Rush and all – moves over to WJAS in its new “Talk 1320” incarnation, and Clear Channel will make its official announcement about what’s next on 104.7. 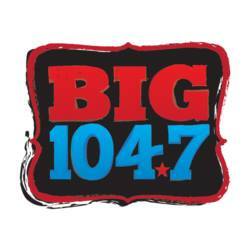 As you’d expect, our content partners at RadioInsight have already picked up on the new name at 104.7: it goes country, just as expected, as “Big 104.7.” It’s the second time in recent memory that country will be heard at that frequency (remember WXRB, “The Rebel,” in the 1990s? ), but this time it’s a much more focused shot across the bow of CBS Radio’s WDSY (107.9), which has been the main rival to Clear Channel’s WDVE (102.5) for the top spot in Pittsburgh ratings. Want this kind of insight into what’s happening with media in the Northeast, every single week? You need to be a subscriber to NorthEast Radio Watch. It costs as little as 29 cents a week! Click here to learn more.